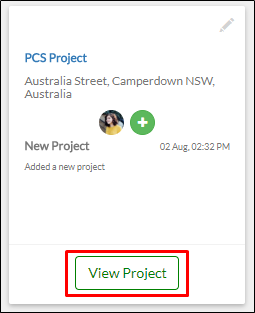 On your projects dashboard, you can see projects that you are involved in. These are called project tiles. Project tiles display latest submissions and brief details of your projects. 1. 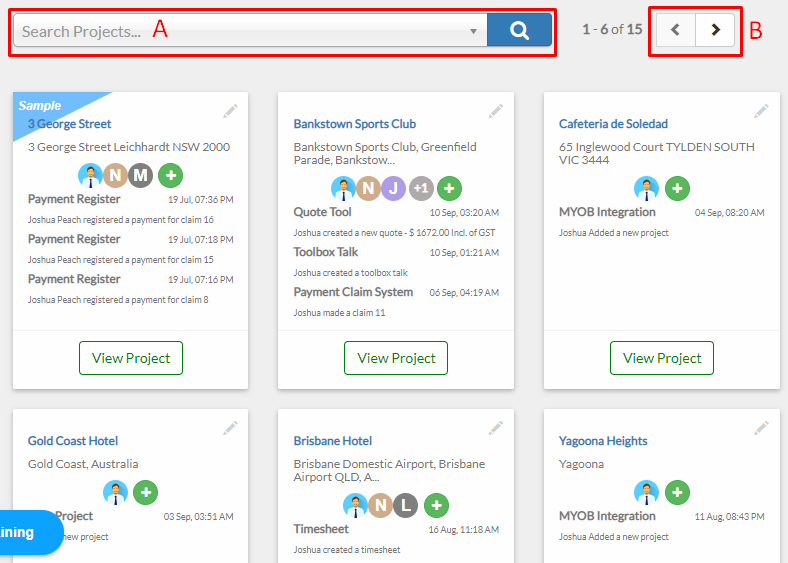 To search for a specific project, you may either use the a) search bar, or b) pagination. 2. From your project tile, click View Project. 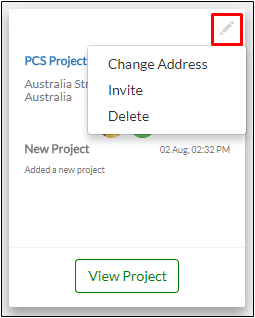 You can change the address, invite project members, or delete the project. Click the Pen Icon in the upper right corner of the project tile. This is an option to change your project’s location. Enter your new location on the text field then click Save when you are done. 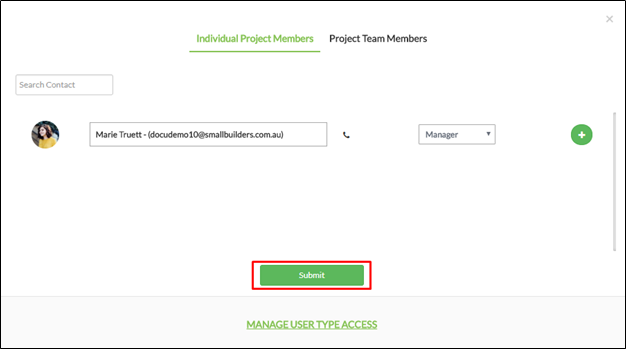 You can also change the address inside your project by clicking Edit button under your current project address. This is an option to invite a user to your project. For more details on how to add members to your project, click here. 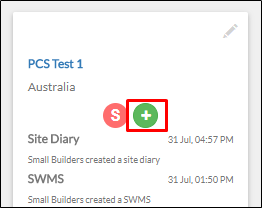 Note: You can also add members to your project using the Plus (+) button on the tile. Deleting your project only moves your project to Archived Projects and will no longer be displayed on your projects dashboard. Click Delete if you want to permanently delete your project. A confirmation box will appear.